It's also equipped with built-in Bluetooth technology (US, Canada, EU only.). USB or Bluetooth Connection. What's in the Box. A die cutting machine designed for arts and craft enthusiasts, the Silhouette Cameo 3 features Bluetooth technology and a dual carriage that allows users to utilize 2 tools at once. Using a small blade, this machine can cut more than 100 different types of materials, including fabric, vinyl, cardstock, and paper up to 12 inches wide. Additionally, it is PixScan compatible and can register and cut printed materials. Right out of the box the Cameo surpassed my expectations. I would recommend the Cameo to anyone that wants an affordable and beginner level vinyl and paper cutter. I would also recommend updating the software and firmware before attempting your first cut. It definitely needs it and the moment I did it worked perfectly. 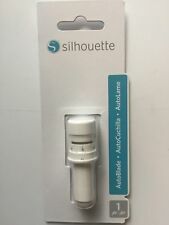 The silhouette America website has easy to follow directions and I had everything done and tested in a little more than a half hour! Great buy! Also, there are tons of resources available on this model and for using the software. Don’t be intimidated and start simple!! Received the long waited for Cameo Silhoutte 3. 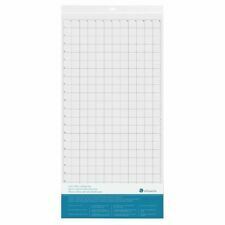 New features make it easy to adjust blade (if needed) line up paper and stay organized. So excited to have this spectacular machine that I've waited so long to have. The bundle enables me to get started right away using the Cameo 3. The cost of the machine, the included bundle and free shipping didn't break the bank. It is a very nice cutter, but I am only giving 4 stars because the documentation for it is non existent. Everything is online and not easy to find. I nearly ruined a good mat because of lack of instructions. Would it kill them to print a 10 page starters guide? I think not. If you are really good at technology and figuring it all out on your own then go for it!! We are trying to grow our business and bought this refurbished one and IT CAME WITH NO INSTRUCTIONS!!! It's taken us three days and lots of really REALLY annoying youtube people to help us get it all figured out!! After about a day of learning to navigate the software and the machine, this thing became very user friendly and downright enjoyable. We have only delved into the vinyl cutting portion, but it apparently does much more, and we can't wait to play! !